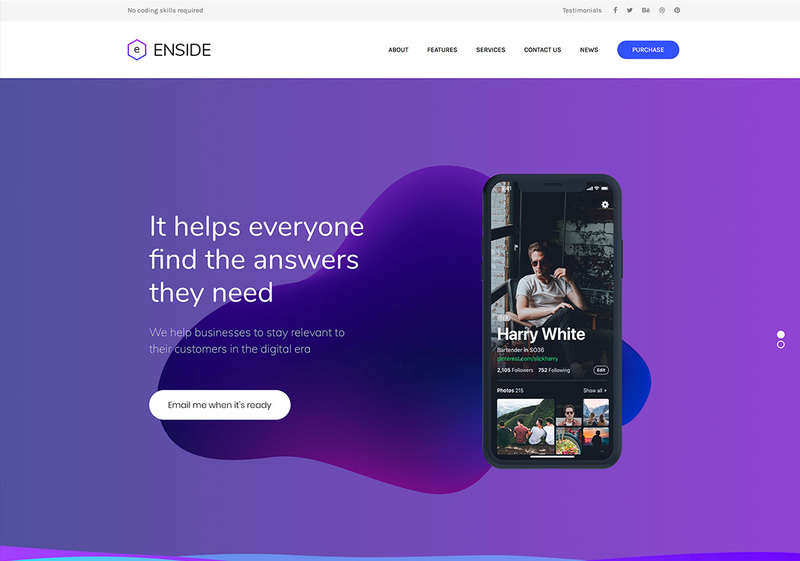 Creative and colorful, versatile and professional, Enside allows you to build a fully functional and feature rich onepage WordPress site, whatever your agency or business, without any knowledge of coding. 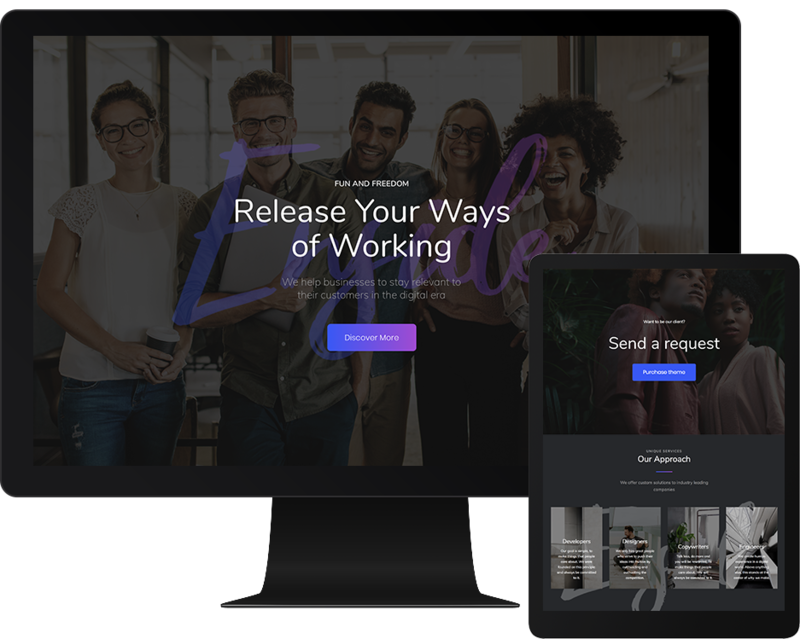 We’ve created a wide selection of stunning and powerful demos so that you can find the best starting point for your personal, business or agency website and import the full template in a single click. You can then use the intuitive, drag-and-drop WPBakery Page Builder frontend and backend page builder to customize, move, modify or combine any element – absolutely no coding! 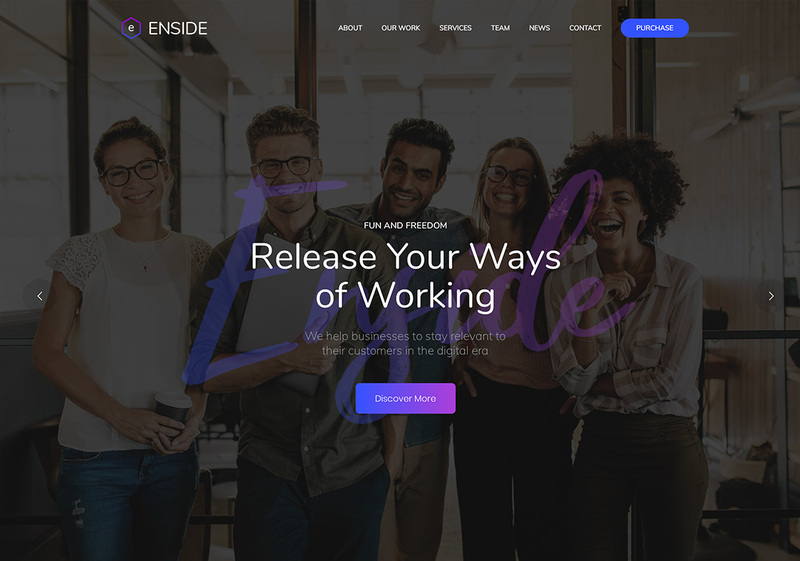 Enside – Make it your own. No CSS/HTML knowledge required – Visual Frontend/Backend page builder included! animations, and 3 column count settings and more! The powerful theme admin panel invites you to get creative and make your site unique in seconds. 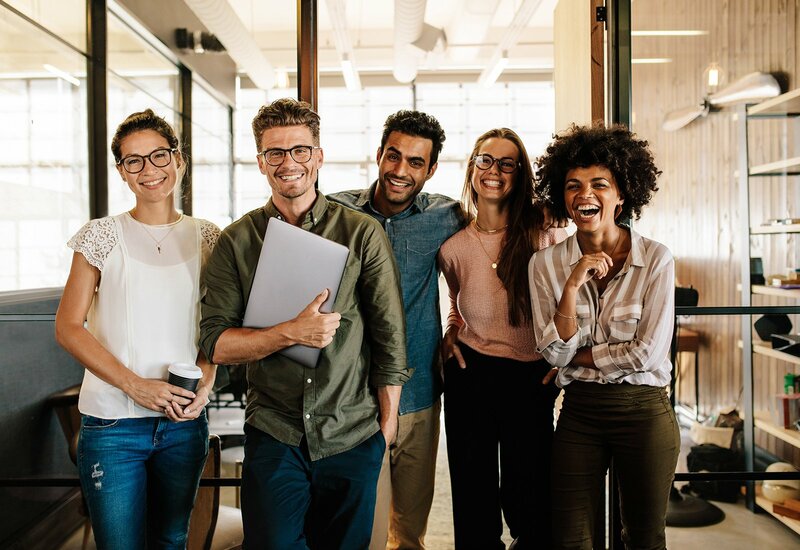 You get to choose how your users engage with you and your business from the moment they land on your page. 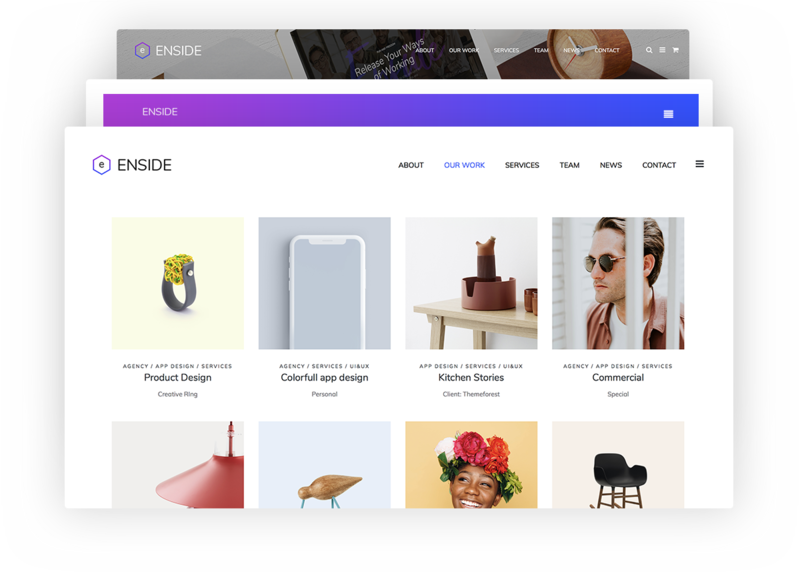 Enside includes 17 custom made Visual Composer page builder elements for you to mix and match, and 20+ header demo combinations, with unlimited customization options. We create 20+ header demo variations you can change it in several click in Admin Panel. Powerful options set allows to style all the elements of the theme. Make site unique in a few clicks. Masonry grid or fullwidth promo blocks – you can choose it from 30 portfolio post type with a couple clicks to promote your works. You can make import all the demo templates with one click! All layouts can be easily imported on your web site! Planning to implement/custom code new functions? Use the child theme and future updates safe. 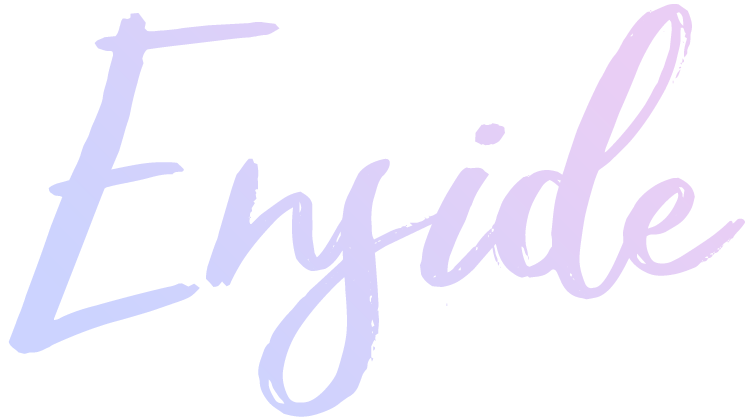 Famous Visual Composer allowing you to build almost anything using the shortcodes / elements available. You can use mega menu options to create different menus with background, images and grouped. We have dedicated support team that will help you with using our theme and resolve your problems. 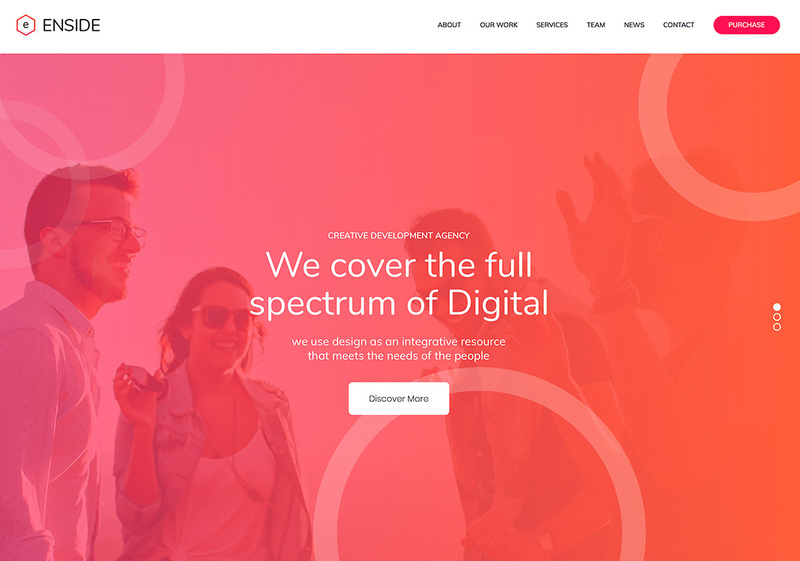 Every single demo is 100% responsive and looks simply stunning on all devices and screen sizes.